From patching existing terra cotta structures like the Mayor Building in downtown Portland, to installing new terra cotta on the Memorial Union Dome on the Oregon State University campus, D&R Masonry Restoration has successfully restored numerous terra cotta buildings, bringing them back to their original beauty and strengthening their structural integrity. Once considered a cheap alternative to stone in the late 1800’s to the early 1900’s, terra cotta is now considered a prized building cladding. D&R Masonry Restoration’s employees are experts in the restoration and repair of terra cotta. The replacement and repair of these tiles today have created an interesting and difficult challenge to restoration companies though out the Portland area and beyond. The effect of the breakdown of the terra cotta elements in building materials is that the entire structure then becomes susceptible to disintegration. When terra cotta breaks down, other systems and elements within a structure can fails such as the metal anchors, mortar and the masonry backfill. Another historical issue is that there was once a belief that terra cotta tile was a water proof building material. We now know this to be false. There are a few different methods for dealing with failing or damaged terra cotta tile. At D&R Masonry Restoration we know that, particularly in the case of historical buildings, authenticity is paramount. We work to use materials that we be best suited to honoring the construction of these buildings by restoring them in an authentic way to reflect the glory that they had when they were first constructed. This often means that with buildings that used terra cotta can be repaired using matching terra cotta materials. In some cases, this means finding suitable alternative materials. In either instance, we are the right company for the job. 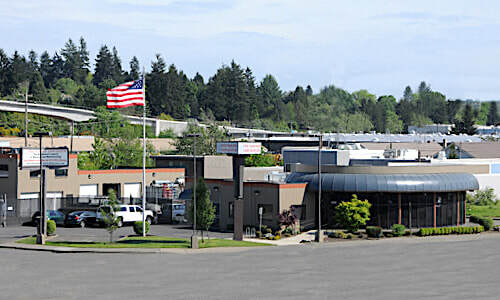 We have been serving the Portland, Oregon area and beyond for more than 20 years. We begin by removing all of the damaged materials and use full sized replacements. We don’t use partial pieces of tile, we remove the entire damaged item to make sure that we improve the stability of the new replacement. We anchor the terra cotta replacements in a manner similar to the original installation whenever possible to create a seamless look. The complexity of re-anchoring terra cotta is a task that we are expertly prepared to handle. Façade breakdown can occur at the structural components and therefore is a challenge to diagnose and triage, but we are the best terra cotta repair and replacement company in the northwest. Water permeation, contraction and expansion throughout the seasons and fabrication defects are some of the primary reasons for structural terra cotta failure. The following techniques for repair and stabilization are implemented by us. Sealing off affected areas from further water entry is this repair process. While further treatments might be needed in the future this does a good job of keeping more water out. The severe breakage of materials and the loss of this broken material can be replaced by removal of fragments and the supplement of new tile. This treatment method is similar to the glaze spalling repair seen above. In areas with exposure to the elements, mortar can wear away and leave bricks or tiles damaged. We use mortar to sure fill in these areas that has a compressive strength that is lower than adjacent masonry items. This is often a first step whereby we permanently seal holes, cracking or sign anchors. This is then followed by repointing or patching where appropriate. We also employ the use of elastomeric sealant to sure up and bind active cracks.